When we came up with the concept of style-passport we knew that while those pauses from stressful jobs and domestic routines, the getaways, good times and holidays are the stuff that really makes life worth living, not everyone is as fortunate to have those moments to savour. With that in mind our heart and passion became about finding an organisation to assist in any we could, one whose reason for being is just that, helping to make life’s good memories and postcard moments a reality where otherwise they would be an impossibility or simply a distant dream. Happy Days is a unique and very special project run through charitable contributions and funding which allows youngsters who otherwise would have no way of escaping disadvantaged and often tough lives to have what most of us consider a ritual and right, a holiday. 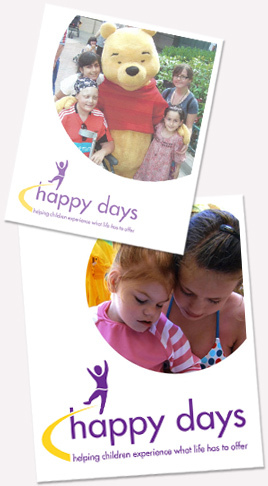 The trips Happy Days provide cover everything from school-based outings to theatre workshops, day trips to theme parks, and family trips where Happy Days fund the child and the family contribute to their own costs with carers also funded where required and social group breaks. These special moments cost from as little as £ 10 per child, and families who are often referred to the charity or schools are allowed to apply once every two years. Demand is high and the trips themselves take time to organise. No donation is too small. We hope that you feel inspired to get involved by giving however much you may feel able to make such a memorable moment in a young person’s life.